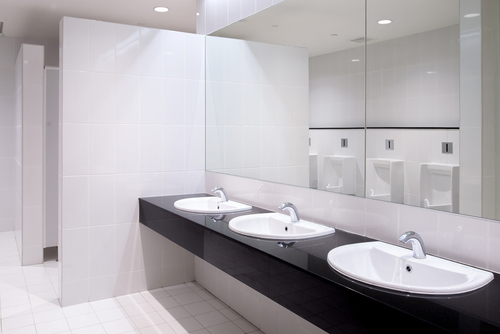 Mirrors tend to collect dirt very easily even after cleaning them thoroughly. What is even worse is the formation of the frustrating streaks on your mirror after you clean it. Bathroom mirrors in particular are just a menace since they have every household dirt for instance spit, hairspray, toothpaste as well as fingerprints which always settle on it. On top of that, the stains don’t come out well after using regular soap together with water solution. It is good to recall that overusing a cleaning solution with detergent makes your mirror streaky where a foggy film later forms on the mirror. Cleaning the tough stains requires something which is more than the elbow grease. Using the proper products, one can end up with a stain-free & shiny mirror. Below you will get to know various products used to clean the mirrors. They are going to help wardrobe & bathroom mirrors to shine leaving behind no streaks. The strategies are very effective and they will help you achieve your desired results in no time. You might have tried every product to clean your mirrors without succeeding. Follow the home remedies below if you wish to know how to clean mirrors. Are you tired of bringing a shiny look to your mirror? Baking soda might be what you were missing since it gives your mirror the sheen it requires. This is among the most effective home remedies of cleaning your mirrors.Use just a little amount of the baking soda & dust the baking soda over some damp sponge or piece of cloth. Rub the baking soda over your mirror & now using a clean piece of cloth, wipe the soda over your mirror utilizing water. 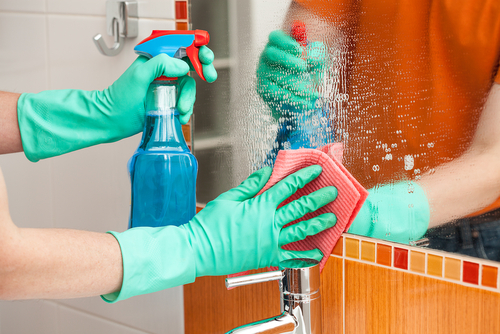 With the aid of a wiping towel, complete your cleaning to get a glazed mirror. Sometimes one might wish to avoid the vinegar as well as the other products. In such a situation, just run the blow dryer over your mirror. This quickly removes the fog & water that had accumulated on your mirror. Use some soft cloth to wipe it off thereafter. You might wonder how newspapers can be used to clean your mirror. but this is an easy undertaking Utilize a medium size of a crumple newspaper to clean your mirror. This strategy is cheap and fuss-free. Soak your newspaper balls gently in the water & rub in some slow circles on your mirror. You might opt to use just this or opt to combine it with some vinegar & water solution. By using this strategy you will end up with a smoothly clean mirror by simply utilizing a newspaper. This is among the best products used to clean most mirrors cheaply. An important thing that you should note however is that your paper's quality as well as the ink's quality depend on your newspaper. Before settling down completely to clean your mirrors utilizing newspapers, try out & check whether it is going to leave behind some ink or maybe some paper marks. With regards to mirror cleaning, you should always remember to utilize some distilled water as opposed to using some hard water. Unlike the hard water, the purified water doesn't contain any minerals which is the common reason as to why many mirrors get some streak-free finish. It is possible to dilute the regular cleaner in order to wipe away any dirt on the mirrors. This is a natural and effective method of cleaning your mirrors. You can utilize any expired or the unused toners to bring a sparkling look to your mirrors. Fill your spray bottle with the skin toner & spray the toner on your mirror. Wipe the toner away using a newspaper or some soft cloth. This can sound odd at first but it is true that a shaving cream might be helpful when it comes to defogging your mirrors. Before taking a shower, ensure to spread a very thin shaving cream layer of foam on your mirror. Wipe the foam away using some soft cloth. Do not expect to get fog on your mirror for long. This works well due to the fact the shaving foam forms a protective film on the glass preventing it from fogging. You can utilize this strategy to defog a car's windshield, glasses & any other items of that kind. This is among the best products used in cleaning mirrors in an effective manner. Club soda is very safe, free from odors, cheap & an easily available ways of cleaning your mirrors. Pour your club soda in some spray bottle. When r,you need it, spray the club soda on to your mirror & later wipe the mirror dry using a soft cloth. Among the effective tips to clean your mirror is simply using white or some distilled vinegar on your mirror's surface. It is capable of giving your mirror a perfectly clean appearance. 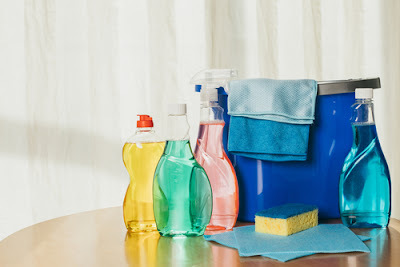 Dilute correspondent quantities of the white vinegar as well as water in your spray bottle. Splash that solution on your mirror's surface & rub it the mirror using a wiping towel. This solution is going to easily remove any tough dirt as well as grime which has accumulated on your mirror. The final result is a perfectly clean mirror. At least you are aware that it is possible to clean your mirrors using vinegar. Borax is a perfect stain remover. You should make a borax solution utilizing three cups full of water & two borax tablespoons. Using a clean sponge that is dipped in the borax solution wipe your mirror & remove any streaks as well as spots from your mirror. To get a beautiful shine that you desire, try using a cup of strong tea. Brew the tea in your pot and let it cool down. Utilize a soft damp cloth in your brewed tea to rub your mirror’s surface. Buff the mirror using a dry & soft cloth to get some sparkling shine. Mirrors always reflect one's actual personality. No one likes their mirrors stained. This might be as a result of a dusty environment, moist air, or even pollution. Even if you discover a perfect way to clean the mirrors, you might end up getting a streaked mirror, leaving you unsure of how to effectively clean your mirrors without leaving behind any streaks. However, if you use the mind-blowing & really easy strategies above to clean the mirrors rest assured to get back an original & perfect shine for your mirror.